Thieves have been targeting commercial and farm premises in a number of incidents over the last few days. According to Lincolnshire Police, the front and rear number plates were stolen from a parked car in Moorland Industrial estate in Metheringham sometime between September 21 and 25. If you have any information about this, call 101 quoting incident number 86 of September 25. * Also, reported to have happened between 3pm and 8pm on Tuesday, burglars broke into a tractor shed on Cliff Road, Welbourn and removed the tractor from inside, but abandoned it just outside the owner’s land, say police. Call 101 quoting incident 400 of September 25 with any information. * Finally thieves broke off the locked caps to the red diesel tank stored on a building site on Lincoln Road, Dunston and took a quantity of red diesel. Police say they cut a large hole in the security fencing to gain access sometime between 5pm on Monday September 24 and 9am Tuesday September 25. Refer to incident 103 of September 25 if calling with any information about this or call Crimestoppers on 0800 555 111. 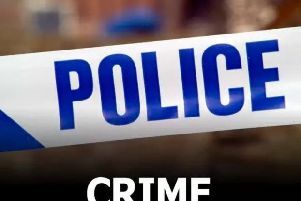 Lincolnshire Police has issued advice to farmers in the area in its latest rural crime bulletin as they see a surge in thefts from farm buildings. • Try to secure or immobilise vehicles or equipment when not in use. If possible, remove machinery from fields, especially near roads. • Keep a record of the serial number, chassis and model numbers of machines. • Paint your name on valuable tarpaulins in letters at least one foot high. • Use metal engravers to mark tools, vehicles and equipment with your postcode followed by the first two letters of your farm’s name. • Keep tools and small pieces of machinery locked away. Do not leave them lying around. • Store valuable equipment and tools in a secure building behind a strong locked door. • Use British Standard locks, good quality locking bars and high security padlocks. You can protect windows with metal bars. Lock outbuildings when you are not using them. • Fit outside security lights controlled by an automatic timeswitch or infra-red beams that react to heat or movement. • Consider fitting an intruder alarm or CCTV to alert you to anything suspicious.